A few months back I finally caught We’re The Millers. It was okay. If nothing else, Jason Sudeikis was hilarious. 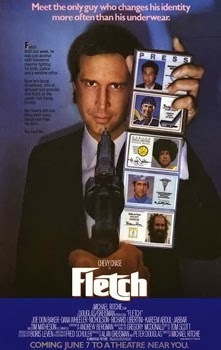 In fact, it occurred to me that he’d make a really great Fletch (the character made famous by Chevy Chase) should they decide to finally reboot the franchise. Just realized - Jason Sudeikis would make an awesome Fletch. Pretty amazing, right??? No? Well, yeah, it’s really just a coincidence, I guess. Unless my tweets are way more popular than I realized. But, pretty cool, right? I think Sudeikis has the right comedic chops and leading man charisma to pull this off. What say you, internet folks?